President Barack Obama made a visit to the Japanese embassy in Washington D.C. on Thursday, an unannounced arrival meant to show how heartbroken America was over the tragedy Japan faces in the wake of a massive earthquake and tsunami which have killed thousands of people and triggered a nuclear crisis. 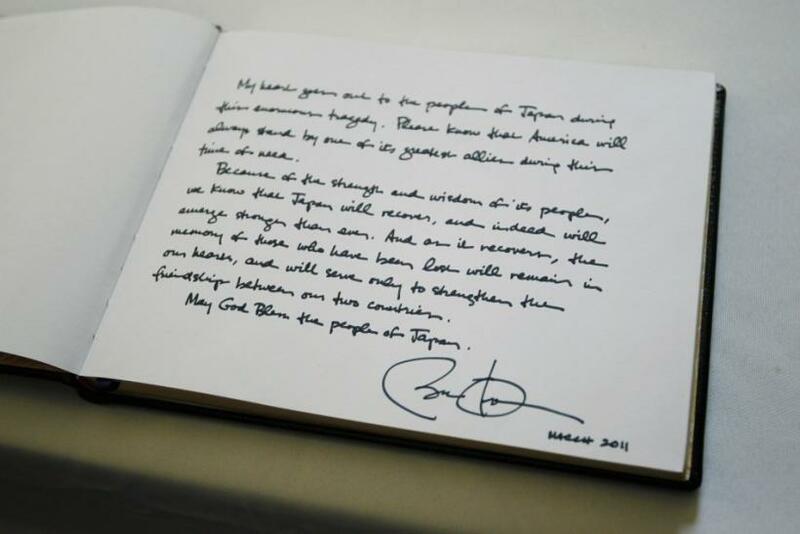 During his visit, Obama signed a condolence book. My heart goes out to the people of Japan during this enormous tragedy. Please know that America will always stand by one of its greatest allies during this time of need. Because of the strength and wisdom of its people, we know that Japan will recover, and indeed will emerge stronger than ever. And as it recovers, the memory of those who have been lost will remain in our hearts, and will serve only to strengthen the relationship between our two countries. May God bless the people of Japan. Obama also told reporters that he offered sympathy for the lives lost and those who are now displaced. Obama said with he was confident Japan will rebuild and praised its strong and dedicated people. 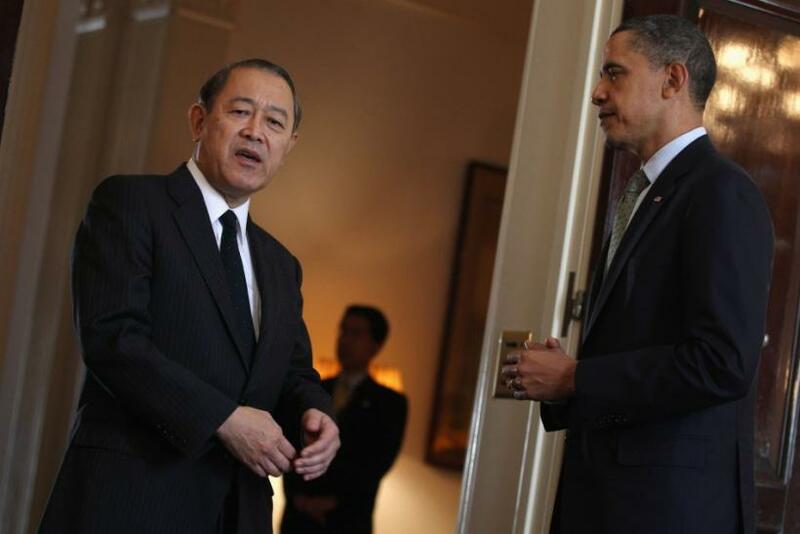 We are so grateful to the president and the people of the United States, said Abassador of Japan Ichiro Fujisake.